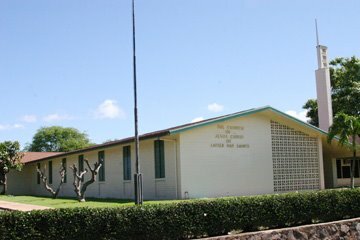 The March 24th Molokai Island Times carried a story about a journalist’s first visit to an LDS Sunday service. Following are a few quotes from the article. The journalist seems to have recognized the LDS worship service’s heavy emphasis on Joseph Smith. I’m glad he included that in his article. I think it’s interesting, too, that he chose to quote the last remark: Latter-day Saints are counseled against sharing the deeply spiritual teachings of the temple with non-Mormons. Wouldn’t any non-Mormon be puzzled by this? Mormons should not share what they learn? It’s evident in this Molokai Island Times report that, while the name of Jesus crops up here and there, He is not the focus of a typical Sunday morning at the Mormon Church. This is my LDS church experince. This is what I experinced and just I would share, but I do believe though, that their are many LDS churchs and things are always done in very different ways, so it is possible you will claim it’s not normal What went on here. Well a few weeks ago I saw two Mormon missionary’s headed towards my house, So I stood by the fence waiting for them to pass by. Instead they turned away from my house. So I got into my car and went looking for them. I found them a few blocks away talking to each other on the side of the road. I pulled up and explained I live two blocks over and asked if they wanted to come over and talk. They did, It went well, we talked about 30 minutes. One guy was named elder armstrong, not sure about the other. Armstrong did most of the talking, after we talked, he asked me if I have ever been to an LDS church service, I said no. He asked If I would go to one, I told him I would go only if he came to one of my services. So he said he would. We planned for the first thursday service, but they called and asked if they could go next thursday. I said sure. They showed up, but this time it was armstrong and a different elder. The church talked with them about life, like what are you going to do after your mission, what things interest you, where did you come from before being here, ETC. We just loved on them. Then during service, it looked as if one wanted to clap his hands during worship but caught himself and decide not to. At our church, we go chapter by chapter, verse by verse, to get the whole counsel of God taught. Church ended at 9:00pm and they said they needed to be home by then, so they ran out the door. So I went to their service. I was called by armstrong about 3 days before the sunday service, he told me that him and the other elder that came to church had to be at a different LDS church, so the oringal Elder that came to my house would be their to verify I showed up. Shelli (my wife) and friends are guessing they were purposely moved to another church to avoid me. I really don’t know but I would agree. I did not know if I should laugh or cry. It was a cross between a town hall meeting and a board meeting. After the Announcements And hymn, and the Invocation, was the ward stake business. A guy stood up and said, Miss so and so is leader of the music group, she is stepping down, Miss so and so would like to replace her, all in favor raise your hands, all opposed raise your hands, and they declared it was good. Then they did this with one other issue. To me if the service lasts one hour we should be getting taught, not having a meeting of the sorts where people like me who are not involved with the LDS church can decide on such matters. Then when it came to the Sacrament, Some missionary’s were standing at a table ripping up a few loaves of white bread, they passed it out and people would eat it as soon as they took it, They they passed out little cups of water, and stated this is in remembrance of the shed blood of Jesus. I totally passed, I did not partake. (Someone once told me, prisoners of old got bread and water). I loved the analogy. Then the first guy to speak, spoke on the holy Ghost, He quoted Bringham Y and one verse from the bible, He quoted from LDS sources other than the 4 standard works. I thought this was funny, they trust it enough to use it, but I use it, In witnessing to them, then they state it cannot be trusted. Sadly he spoke for less than 15 minutes and about half of his talk was “his” testimony and how he was once a Lutheran. The 2nd speaker was a women, she spoke on faith and hope, She spoke at best 15 minutes, she spent about the first 5 minutes, telling us about her husband and 3 kids and why they are the greatest. I felt this kind of stuff should be left for after the service for times of fellowship. She quoted one verse from the bible and also spent some time giving her testimony. Over all no real substance at all. Then the young women sang, then the 3rd speaker. He Spoke on his life, about how when he first meet mormon missionary’s he questioned everything they said, even after all their lesson plans were taught to him he still was not convinced and wanted to search more, I found this funny, when I do this I am accused of being anti mormon and not really sincere, yet he did it. Then he shared how we must pay our tithe and must enter the temple. Then he shared how he raised farm animals and it was the best pork he ever ate. Then gave his testimony. No real teaching from the word or even the BoM for that matter. I learned nothing at all. Then to make matters worse, their were newborn babies up to teenage kids sitting in their, no classes or nursery of their own. New borns were crying an screaming, one kid sitting next to me was playing with a toy car, driving it up and down the pews with added sound effects. Some kids were playing with the curtains up front and ripped them down off the window, their were kids running around the front of the pews and all the while no one really seemed to bothered by this. It was a total distraction.